Washington, DC landlords soon may be subject to limits on how much they can charge for late fees. This is the latest example of how unpopular landlord late fees are with local lawmakers and judges. The move comes after tenant advocates successfully argued that unregulated late fees are excessive, and drive some residents from their homes. A large number of states and cities cap or prohibit these charges. Even in the absence of statutes specifically limiting the fees, all late fees are subject to a common legal precedent that prohibits private citizens from charging excessive fees, fines or penalties. That’s why it’s important to consult your local rental laws or an attorney before drafting a lease agreement or collecting fees from a tenant. Because of these comprehensive restrictions, late fees are, at best, an anemic weapon when it comes to preventing late rent payments. The new Washington, DC rules provide a good example. Those rules will limit late fee charges to 5% of the unpaid rent amount, and allow for a five-day grace period before the fee can be charged. In addition, the lease agreement must set out the maximum allowable late fee. The fees only can be charged for the current month, and not applied against the next month’s rent. 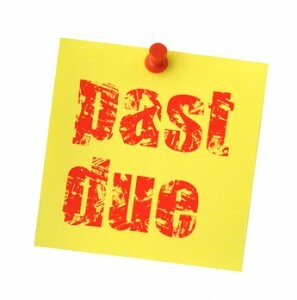 No interest can accrue, and the landlord cannot evict the tenant for failure to pay the late fee. Penalties for violation of the rule include treble damages — three times the amount charged. The fine will be at least $100, and up to $5,000 per violation. Another common problem with late fees is the standard lease language which also provides a grace period, typically five days, before rent is considered late. That grace period, combined with the measly amount that a landlord can charge creates a perfect storm, and bad tenants take advantage. These tenants use landlords like a line of credit, deferring rent and using the money for other things. Screen tenants, including running a credit report to check for unpaid rent, and speaking with the current and former landlords to determine if the tenant has a habit of paying late. Tenants are likely to repeat that pattern. Sign up to Report Tenant Pay Habits, so tenants’ monthly payments will be tracked. Supply rent invoices for tenants. Provide multiple options for paying rent. Hold tenants accountable when they don’t pay on time. Don’t intimidate the tenant, but do provide a warning that delays won’t be tolerated. Reward tenants who do pay on time, even if it’s just a simple thank-you. Deposit checks as soon as possible after receipt. Many tenants monitor their finances online and are watching when the check clears. If it isn’t deposited until the end of the month, that can frustrate a tenant who rallied to pay on time. Keep the property in good repair, and respond to tenant complaints in a timely fashion. Disgruntled tenants are more likely to withhold rent.